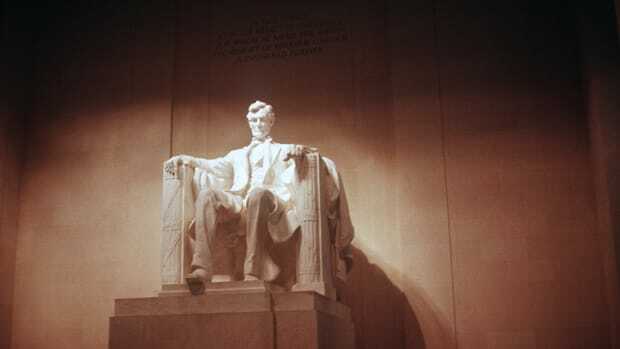 Learn how the iconic children’s toy bearing the Great Emancipator’s name was born. Growing up in Oak Park, Illinois, John Lloyd Wright spent hour after hour in the “wonderland playroom” designed by his father. Underneath a soaring barrel-vaulted ceiling, the second child of famed architect Frank Lloyd Wright constructed his own wonders using just his imagination and a collection of assorted building blocks developed by Friedrich Froebel, the German educator who championed the concept of kindergarten. 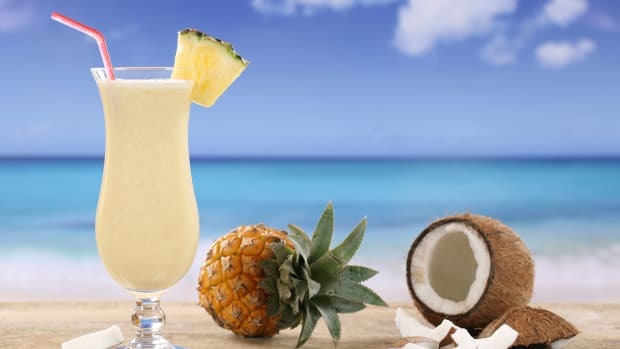 The relationship between father and son, however, crumbled over money long before the earthquake-proof hotel was ever constructed. 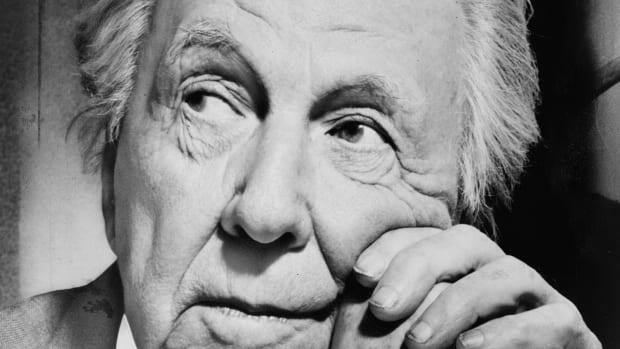 Out-of-work, John Lloyd Wright turned his attention to a pint-sized design project. In 1916, using the blueprint for the Imperial Hotel as a model, he created a toy construction set that consisted of notched pieces of wood that children could stack to build log cabins, forts and other rustic buildings. Unlike Froebel’s building blocks, the interlocking system of miniature logs could withstand the shockwaves unleashed by children’s playing roughly with the toys. In 1918, John Lloyd Wright began to market his creation through his own firm, the Red Square Toy Company, and two years later he received a patent for his “toy-cabin construction.” He bestowed upon his creation an alliterative name that also evoked an American icon—Lincoln Logs. 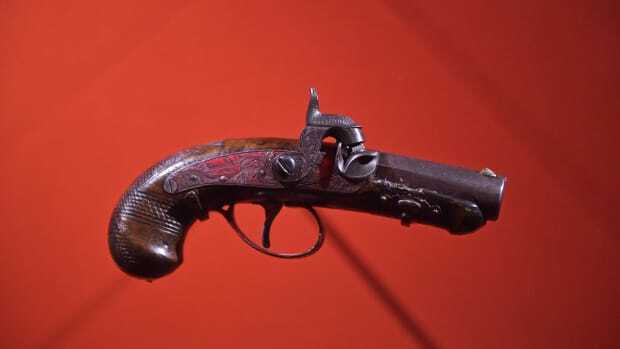 The toy came with instructions to build not only Abraham Lincoln’s Kentucky boyhood home, but a famous log structure from the pages of American literature, Uncle Tom’s Cabin. 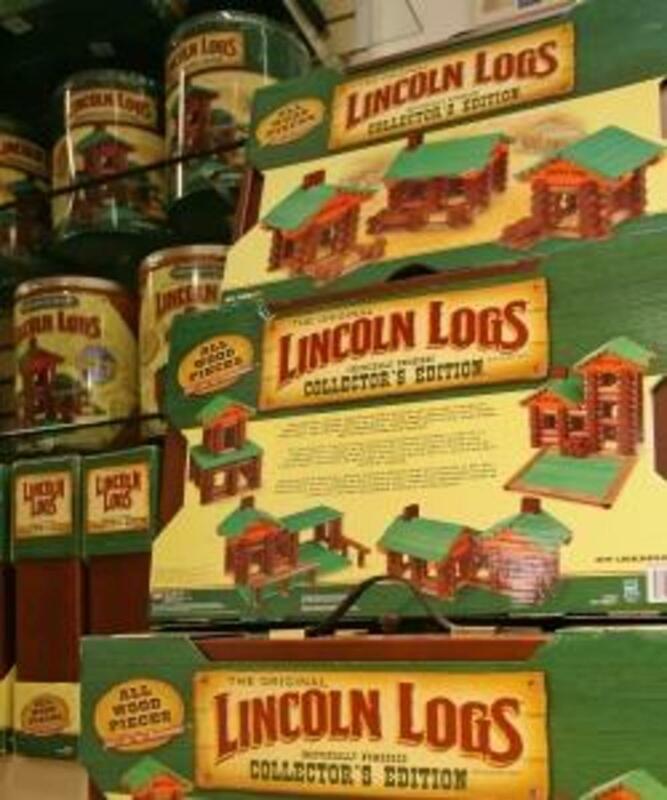 The toy’s packaging featured a simple drawing of a log cabin, a small portrait of Lincoln and the slogan “Interesting playthings typifying the spirit of America.” Capitalizing on both a nostalgia for the frontier at a time when the United States was becoming increasingly urbanized and a wave of patriotism in the wake of World War I, Lincoln Logs became an instant success. Lincoln Logs followed the trail blazed by Tinkertoys and Erector Sets, which had been introduced a few years earlier. Some scholars also believe John Lloyd Wright as a child possibly played with the Log Cabin Playhouse, a similar wooden construction set that had been developed by toy company Ellis, Britton & Eaton in the 1860s. While restrictions on metals and other materials constrained the production of other toys during World War II, wooden Lincoln Logs continued to roll off factory lines. (The notched building logs, originally carved from redwood, are now manufactured from stained pine.) Lincoln Logs peaked in popularity during the 1950s when it was among the first toys mass-marketed on television. The toy’s rustic brand tied in perfectly with popular children’s shows such as “Davy Crockett, King of the Wild Frontier” that were watched by tens of thousands of young “baby boomers” on their black-and-white televisions. A century after their creation, low-tech Lincoln Logs continue to be popular in a high-tech world. Over 100 million sets have been sold worldwide, and Lincoln Logs were inducted into the National Toy Hall of Fame in 1999. John Lloyd Wright attempted to build on the success of Lincoln Logs in the 1930s with Wright Blocks, a toy construction set with interlocking wooden shapes that allowed budding architects to build castles or other complex designs. 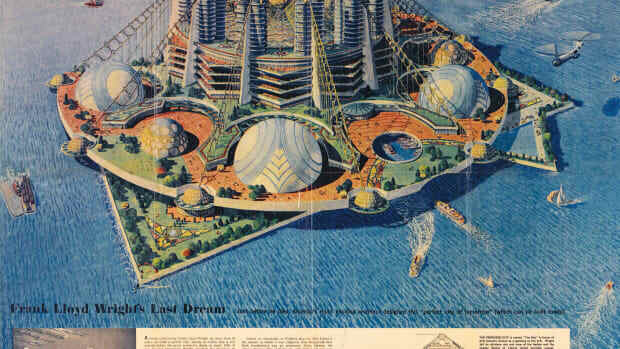 Wright Blocks, however, proved too intricate and lacked the same appeal as Lincoln Logs. 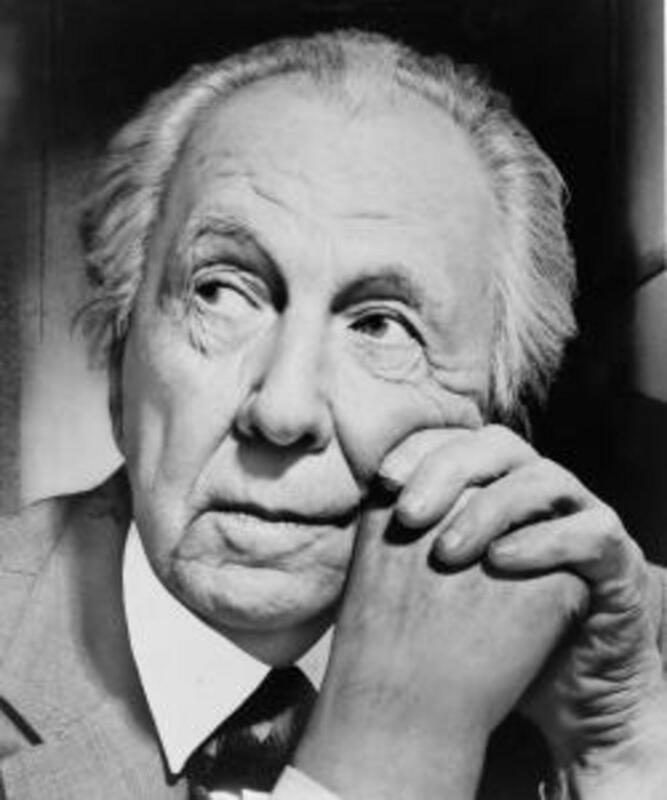 John Lloyd Wright sold his company to Playskool in 1943 for only $800. 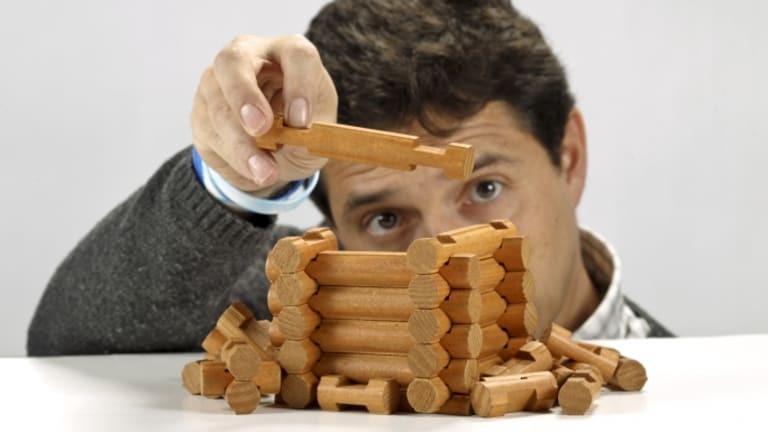 The copyright for Lincoln Logs eventually passed to toy companies Milton Bradley and Hasbro. 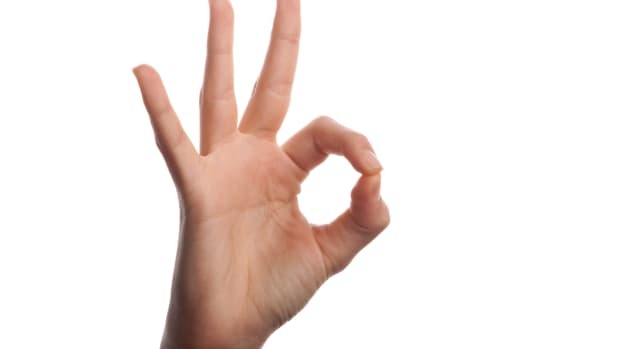 Since 1991, the rights to produce Lincoln Logs have been licensed by K’NEX, which announced in 2014 that the stackable wooden construction sets would again be manufactured in the United States after years of being produced in China. In spite of withstanding earthquakes and intense bombing during World War II, the Imperial Hotel designed by Frank Lloyd Wright finally fell to the wrecking ball in 1968. The toy it inspired, however, continues to thrive 100 years after its creation.